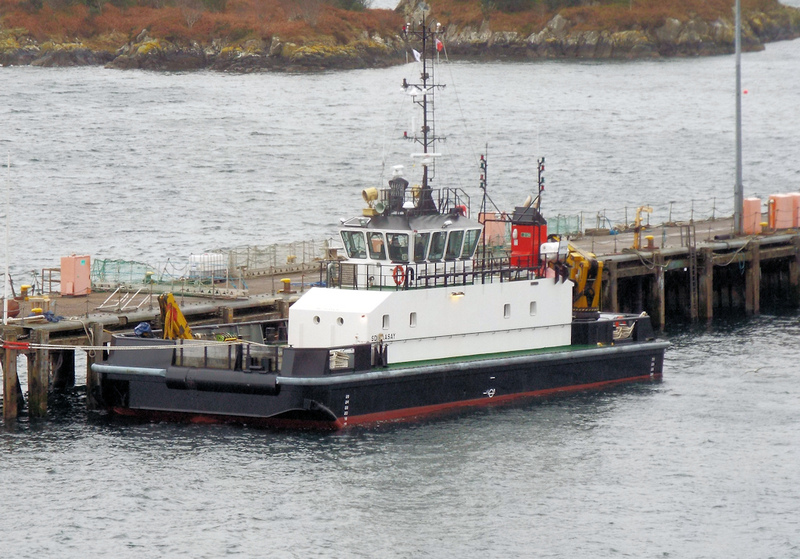 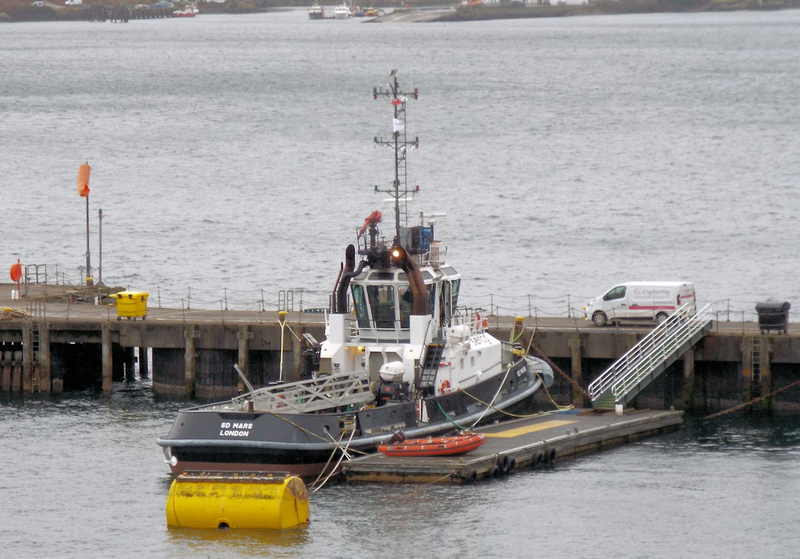 Serco Multicat SD Raasay at BUTEC 07 February 2018. 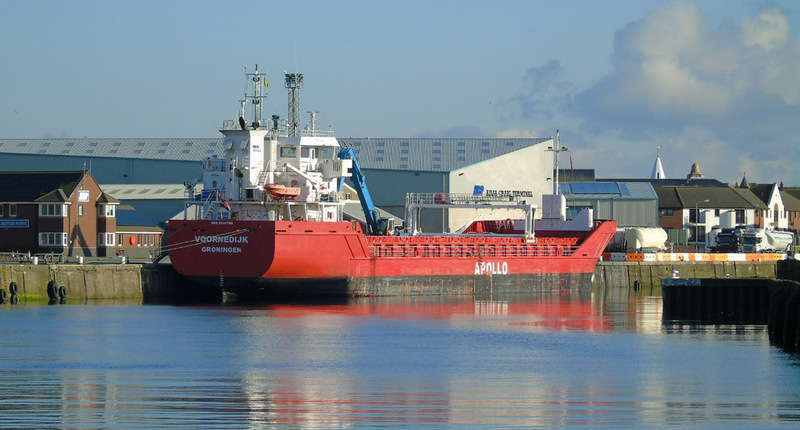 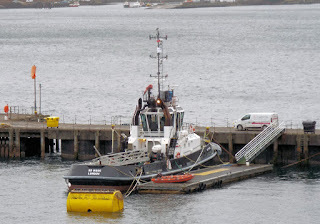 Serco tug SD Mars at BUTEC 07 February 2018. 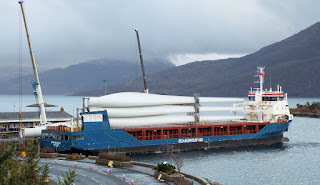 Coaster Peak Belfast delivering wind turbine blades at Kyle 08 February 2018. 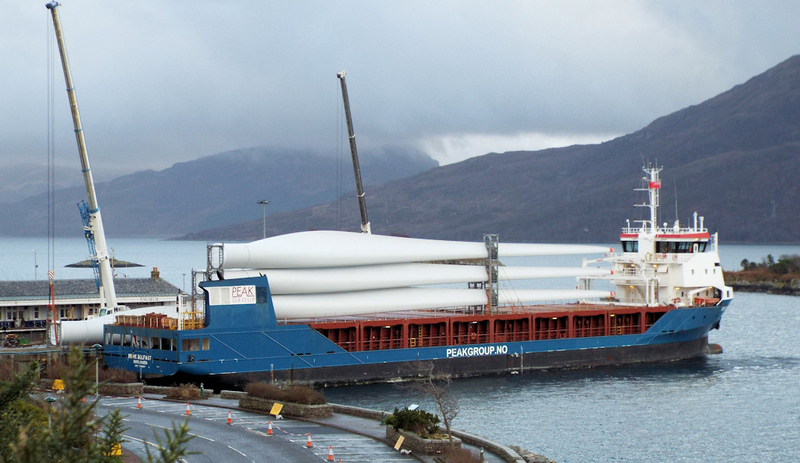 Ultimately planned for the Bhlaraidh Wind Farm, the blades are being temporarily stored at Broadford Aerodrome. Coaster Voornedijk unloading at Ayr's Ailsa Craig Terminal 04 February 2018.